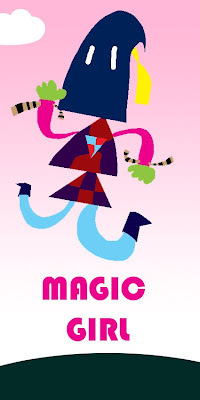 Magic Girl is a member of Aligon's team. Her Powers are - Making things fly and throw them at the baddies. She can control people and go invisible so she can get things. Once she was walking home when a strange boy came up to her. She thought it had powers and she was right. He said "i have been looking for you, is your name called Millie?" She said "Yes it is." "I heard you had special powers, i have special powers too. You could join my gang if you want to be a Hero'. Millie said " Yes! I would. But what hero name will i have?". The boy said "You will be called Magic Girl".